It pains me to write this, as I’m a big fan of Marvel’s Agents of S.H.I.E.L.D. What started off as a great idea, originating from the house of Whedon and building upon previous big-screen properties has become an ongoing battle within the offices of Marvel Studios and Marvel Television. Unfortunately, in order to unite the superhero house that Mickey bought, all superhero shows airing on ABC need to be cancelled. This story begins with Marvel’s Agents of S.H.I.E.L.D. Season 1 of the TV show was marvelous (pun intended). Airing on Tuesday nights at 8 PM EST, the program was ranked the No. 1 new show among adults 18 – 49, with 17 million viewers watching the pilot, decreasing to 8.58 million by the conclusion of Episode 22. Declining ratings would continue for each subsequent season, as only 4 million total viewers watched the season finale to last year’s Season 4. Fans can complain that the series’ shifting timeslot didn’t help matters much, as the show moved from 8 pm to 9 pm to 10 pm in its first three seasons. And this year, the show has been moved to Fridays at 9 pm. Maybe the ratings don’t matter, anyway. Apparently, the show was scheduled to be cancelled last year by ABC, but Disney made an executive order to bring it back one more time. Will Friday nights be the life support the show needs? Or is it hovering close to cancellation? Some might say that in order to survive, the show needs supporting programming. Hence, Marvel’s Agent Carter was created (although never given much of a chance to survive). The eight-episode first season of Carter began with almost 7 million total viewers, dropping to 4 million by its conclusion. The 10-episode second season dropped from 3.18 million total viewers to 2.35. And then ABC really fumbled the situation away. After ordering a pilot for the S.H.I.E.L.D. spin-off, Marvel’s Most Wanted, Agent Carter became an afterthought, and was basically cancelled. But then the pilot fell through and Carter’s replacement never got picked up, and S.H.I.E.L.D. was on its own again, until Marvel’s misstep of bringing The Inhumans to the small screen (instead of turning it into a Phase 4 movie, which would have been a bigger disaster). What does all this mean? As S.H.I.E.L.D. returns for Season 5 this week, it is relegated to the Friday night wasteland, where TV shows go to die. There really isn’t much hope for it to return next year, which pains this fan. ABC can’t seem to do what Netflix has done: Creating high-quality television shows based on singular Marvel characters that don’t have to deal with network censors. Instead, it’s trying to create a team of characters that don’t interact with other characters within the Marvel Cinematic Universe. 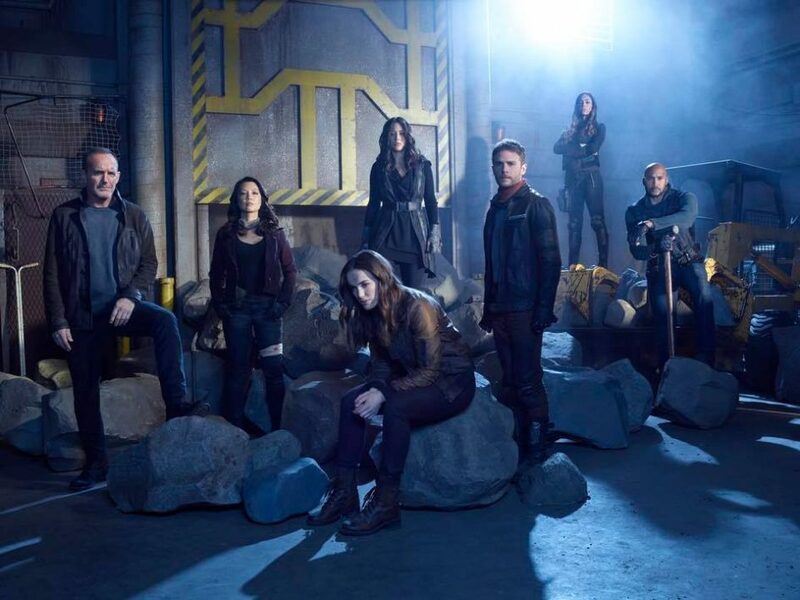 There hasn’t been any major crossover characters after four seasons, other than Fury, Lady Sif and a Hydra baddie or two, and Whedon says it’s possible to finally happen this season… but doubtful. Having S.H.I.E.L.D. characters acting separately from their big-screen counterparts is not helping the superhero cause, but together, as one, it will ultimately be best for both production companies, even if it means shutting down TV shows — but more importantly TV characters — that are beloved by many, even if the ratings don’t prove it. Can FOX do superheroes better with The Gifted? What about Hulu’s upcoming Runaways? Season 2 of FX’s Legion and Freeform’s upcoming Cloak & Dagger, along with the upcoming The New Mutants, also offer something different? FXX’s upcoming adult animated comedy, Deadpool, produced by Donald Glover and appearing sometime in 2018 will also be added to the mix next year. I guess we can compare the ratings of all these shows — that is, if there isn’t any superhero fatigue suffered by the viewing audience by that time. They may have already moved on from this kind of programming. Why not reunite the characters into the same universe to get more from them, not less with the separation from the big-screen characters to those of the small screen? With Marvel Studios battling Marvel Television over which characters they can use, instead of crossing over major characters and sharing storylines, the TV superheroes have often gotten neglected, other than the first Hydra-inflitration storyline. The storyline for S.H.I.E.L.D. this season seems to still be up in the air, but most likely will deal with the effects of AIDA’s Life Model Decoy and Ghost Rider’s interactions with the team, along with the Darkhold. When the series was reupped for a fifth season, 22 episodes were ordered, but ABC attempted to lower the associated costs, including reducing its budget and lowering its licensing fee. Option 1: Move S.H.I.E.L.D. to the upcoming Disney streaming app. Option 2: Better yet, movie it to Netflix. Option 3: Cancel S.H.I.E.L.D. and just be done with it. While I prefer the second option, there really doesn’t seem to be any room left for S.H.I.E.L.D. and any of its superhero costars left on ABC’s schedule. Can the show survive another year before moving out of primetime? I guess we’ll see, starting on Friday night.